Hollis, N.H. – (October 20, 2016) – The Natural Stone Council (NSC) – an association comprised of the leading Natural Stone Associations throughout the country – announces its Sustainable Production for Natural Dimension Stone (ANSI/NSC 373) certification is now recognized by the U.S. Green Building Council’s LEED v4 building certification program, as well as the International Living Future Initiative’s Living Building Challenge (LBC) version 3.1. Now, design teams have a clear path to ensure the stone they specify helps projects reach sustainability goals as outlined by LEED and LBC. The NSC established the sustainable stone certification standard in 2014 with two important goals in mind: to provide natural stone quarriers and fabricators with third-party verification of their sustainable practices and to give the building and design community confidence that certified stone is a sustainable material choice. To develop ANSI/NSC 373 for alignment with LEED and LBC, the NSC Sustainability Committee worked closely with third-party organizations including Jack Geibig at Ecoform of Knoxville, Tenn., and NSF International of Ann Arbor, Mich., to determine the sustainable footprint of how stone is quarried, transported and processed. In addition, ANSI/NSC 373 was developed using the consensus-based ANSI (American National Standards Institute) process and can be applied internationally with certification by a third-party certifier like NSF International. “I attribute the success of the ANSI/NSC 373 certification acceptance to the Natural Stone Council’s early commitment and dedication to aligning with leading green building programs such as LEED and LBC,” says Jessica Slomka, manager, National Center for Sustainability Standards, NSF International, LEED AP BD C.
ANSI/NSC 373’s national and international requirements for environmental, ecological, human health, and social responsibility in stone quarrying and processing will help satisfy the growing demand for transparency in the market. The LEED Steering Committee approved certification to ANSI/NSC 373 Sustainable Production of Natural Dimensional Stone as a “USGBC-approved program” third-party verification (full credit) in Option 1 of LEED v4 BD+C and ID+C Material Resources credit Building Product Disclosure and Optimization – Sourcing of Raw Materials, provided that the facility and/or quarry operation has earned certification including either optional credit 7.2.1 (Ecosystem Boundaries) or 7.2.2 (Environmental Impact Assessment), and has made its scorecard publicly available. In addition to LEED v4, the Living Building Challenge is advocating the Sustainability Standard for Natural Dimension Stone for Living Building projects using natural stone. ANSI/NSC 373 aligns within the LBC 3.1 Material Petal, in the Responsible Industry category. The rigorous and voluntary certification standard including its companion Chain of Custody program is gaining acceptance among stone industry companies. In 2014, TexaStone Quarries, which operates natural stone quarries and a closely aligned fabrication facility in Garden City, Texas, became the first company in the world to achieve certification. Coldspring became the second to achieve ANSI/NSC certification of its headquarters, primary manufacturing operations and three Minnesota-based quarries. Additional companies have since certified, with more working to achieve certification. For more information about ANSI/NSC 373, visit http://naturalstonecouncil.org/education-training/nsc-initiatives/dimensional-stone-standard/. 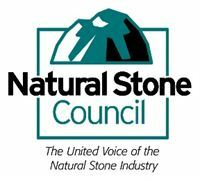 About the Natural Stone Council: The Natural Stone Council is a collaboration of natural stone trade associations that have joined forces to promote the use of natural stone in commercial, residential, government, institutional, educational and all types of applications interior and exterior. For more information, visit www.naturalstonecouncil.org. NSF Sustainability draws upon this expertise in standards development, product assurance and certification, advisory services and quality management systems to help companies create more sustainable products, operations, systems and supply chains. For more information about NSF International or the NSC Standard, please visit nsfsustainability.org or contact Jamie Bush at sustainability@nsf.org. About Ecoform: Ecoform is the leading technical analysis company in the United States that focuses on the environmental performance of companies and their products and processes. Founded in 2006, but based on the combined 50 year history of its practitioners working through a variety of corporate and university organizations such as The University of Tennessee's Center for Clean Products, the team brings a unique mix of skills to help your company achieve corporate environmental and social responsibility. Tighter budgets, return on investment demands, more to do with less time. These are just some of the challenges firms face today. The Advancing Organizational Excellence Team (AOE) understands the challenges you face. Instead of just simply implementing tactics, we work with you to develop a strategy that helps you accomplish your goals. AOE is the merger of two well-known consulting firms (CAM and CCI) with decades of experience serving associations and companies in technical industries.